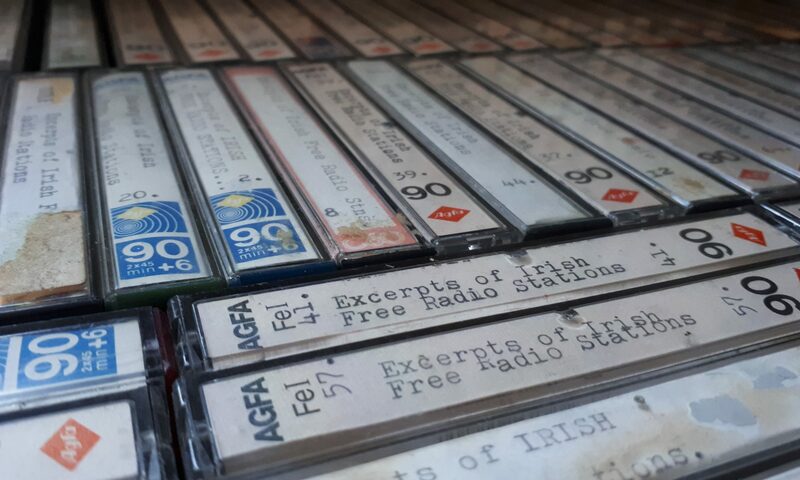 Broadcasts of Dublin station Q102 were disrupted in July 1986 by a mysterious ‘phantom’ who managed to break into the VHF link to the AM transmitter and disrupt normal programming on 819 kHz. Anoraks UK reported receiving anonymous calls from Dublin to say that the ‘ghost’ of Radio Nova was to return and later that day, Radio Nova jingles were broadcast on Q102’s AM frequency (Radio Nova had closed in March 1986). A person on a bicycle with a rucksack and home-made dipole was spotted near Q’s transmitter site but escaped before engineers could catch up with him. The ‘Phantom’ also called Radio West’s Sunday Anoraks’ Hour to threaten further disruption. This mysterious recording includes references to that programme and also cheekily edits a Capitol Radio jingle, changing it from ‘Move over to Capitol’ to ‘Move over Capitol’. This was apparent hint that Capitol would be the next target!